We are like our food, one spoon local, one spoon European sprinkled with seasonal Scottish produce. 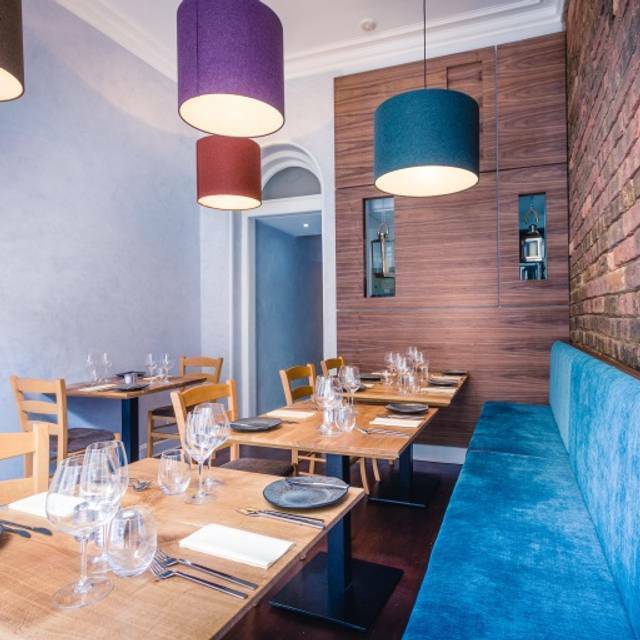 Located in the heart of Edinburgh, just a stones throw from The Royal Mile, Lovage Restaurant offers the complete dining experience where unconventional food and incredible wines are accompanied by informal setting and relaxed friendly service. 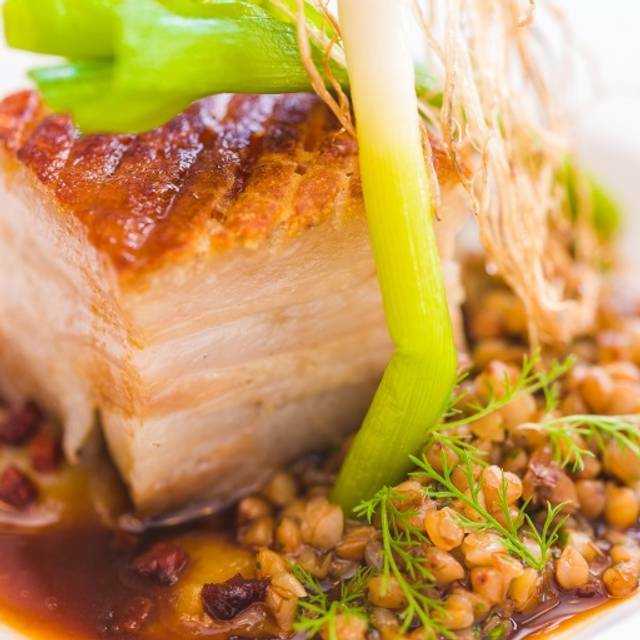 Our philosophy starts in our kitchen, where we use quality seasonal produce combined with imagination and passion to create dishes that you want to talk about, you want more of and you will come back for! Sides available for £3 each. Lovely food and great service! The menu offers something a bit different. Really love it, so sad it’s closing! Hopefully we were nice last customers. 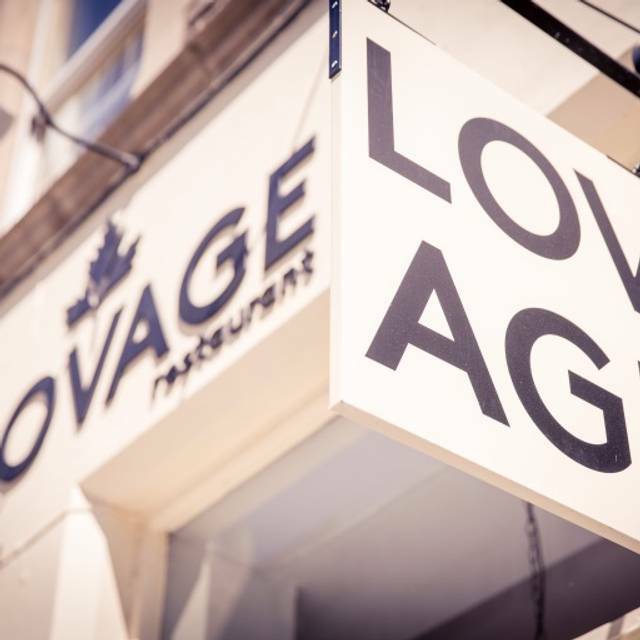 Having eaten at Loveage before, I booked to bring my sisters and my friend for a Post Theatre meal. My meal and my friends was excellent - my two sisters ordered the Steak which was horrifically tough frankly inedible. My younger sister politely told our server she just couldn't eat it and ordered an alternative. I have to say the reaction wasn't good that she had spoken up. My older sister didn't change hers - it was very tough - she did mention this. When the bill came, there was no reduction or apology. Very very unimpressed - I won't go there again. We had an amazing Valentine’s Day dinner!! We loved the special tasting menu, every course was cooked to perfection. Couldn’t have asked for anything better. Great little restaurant, just need to turn up the heating! Couldn’t fault it! Food was superb, staff were friendly and it was great value for money. Cute wee place! We had the best dinner at Lovage this week. Service was great, food was great, atmosphere was great! We'll definitely be back! We had a great experience in this restaurant. The food was outstanding and the service is great. We felt looked after. It is a little cosy restaurant, great for romantic dinners! Wonderful food and good value. Friendly service. Nice atmosphere. After extensive research on Tripadvisor we ate here for my birthday on Saturday 12th January, and we were not disappointed. Food, wine, service and ambiance were all great. Highly recommended! Exceptionally good food and good value. I will look forward to going again soon! Excellent food, we had the Hogmanay taster menu. The restaurant was clearly under staffed / over booked which detracted from the overall evening. Would try again, but not a great first impression. Hogmanay celebration set menu was excellent and the service fantastic. A small restaurant with excellent service and friendly staff. Delicious food, attentive service and good value for money. Would definitely eat here again! 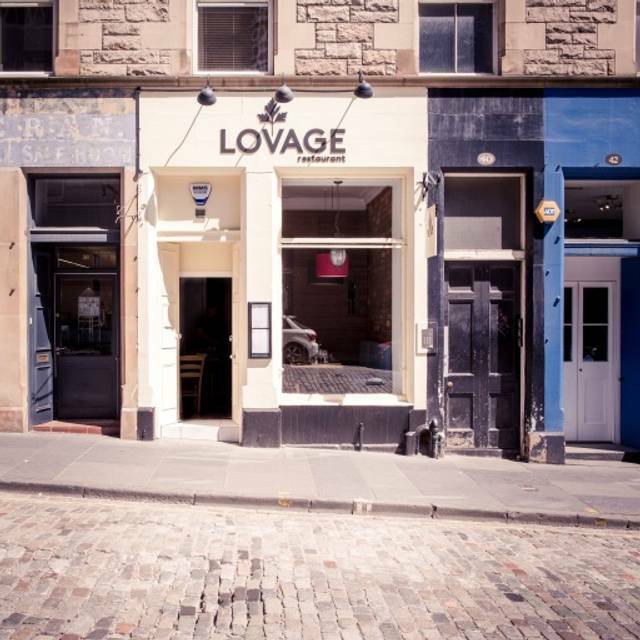 Had a lovely evening meal at Lovage on our recent trip to Edinburgh. Great atmosphere, very helpful staff and lovely meals. A delicious meal, with attentive service. An overall wonderful evening. Highly recommend. We loved everything. It was perfect. Very nice meal - a little different, and well presented. Not the cheapest but worth it. Staff very friendly and helpful, meeting special requests on ingredients. Good vegetarian choice. Would recommend. What a surprise. 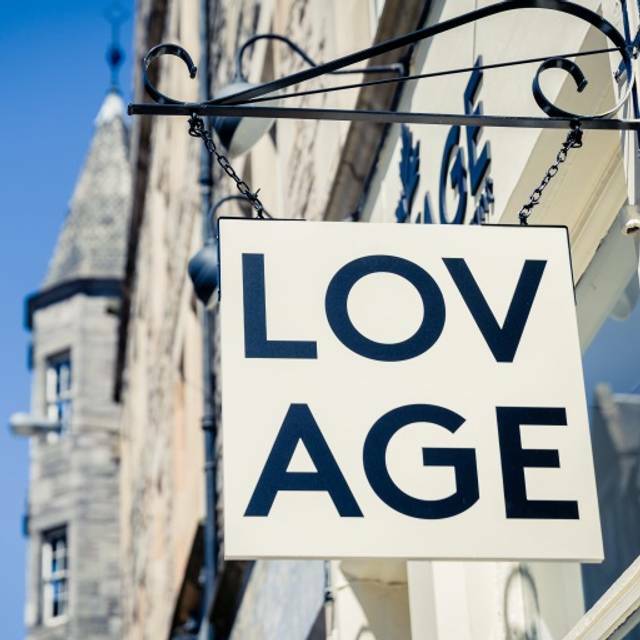 We were returning to our hotel and I happened to notice the Lovage Bistro sign off the Royal Mile. We were looking for a late dinner restaurant with reasonable pricing. We looked at the menu outside and immediately decided that the food choices looked excellent and the pricing exactly what we were looking for. Also the view through the window into the restaurant was pleasing. We tried to get in 40min early, but we were asked to return at 21:00, as this was our booked time. I now understand why, as they could not have given us earlier the attention that the customer requiers. When we arrived we were shown to a lovely table in this sparsely but tastefully decorated room. We immediately felt that the service was impeccable and not hurried. The staff were very professional. After the complimentary pre-dinner drink (mulled wine) we concentrated on the menu. It was nicely constructed with just enough choices. I chose double baked goat cheese souflee and my partner chose a fish platter. Both of the dishes were absolutely delicious, so when the main courses arrived, minen was a pork rack cutlet with Silesian dumpling and crackling and my partners rib eye stake with salsa verde. It was not surprising that the food looked so apetising. I am not great fan of pork crackling, but I really liked this one and the Silesian dumpling was such a joy to eat. The whole main course was something that my taste buds would like to experience again. Many restaurants should take note of Lovage Bistro's wine list. Many of the wines were served either 125ml, 175ml, 500ml or bottle portions and we chose 500mls of Cotes du Rhone, Domaine L’Ancienne Ecole. This wine is one of my favourites in this type of sitiuations with many diofferent tastes, and the plum taste in the wine specially complimentated my main course. 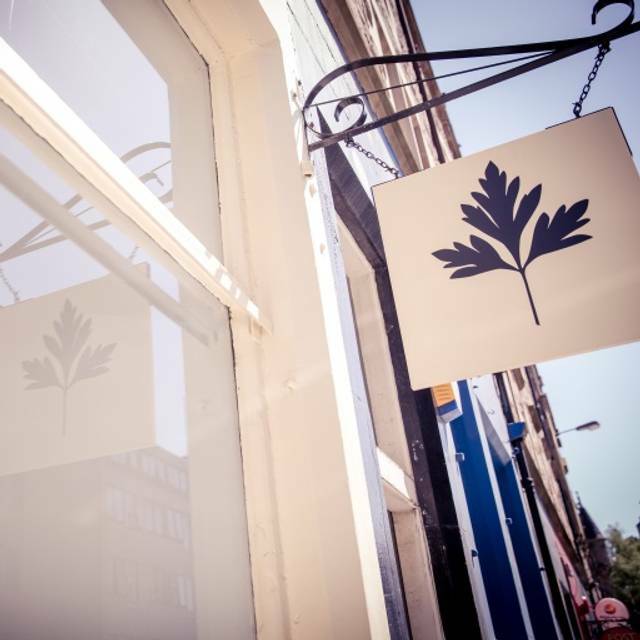 Go to Lovage Bistro now, before everybody finds it and you have to wait for months for your booking. I was absolutely delighted with my visit to Lovage. My girlfriend and I visited for our birthday dinner and we were served by Stavros. He was very attentive and gave great advice on what to order as the menu had so many great options! The food was amazing and overall we are both over the moon with the restaurant. We will definitely be back. Thanks Stavros and the rest of the Lovage team. This was a bit of a find. Staff friendly and helpful. Food was lovely and different with some unusual ingredients. 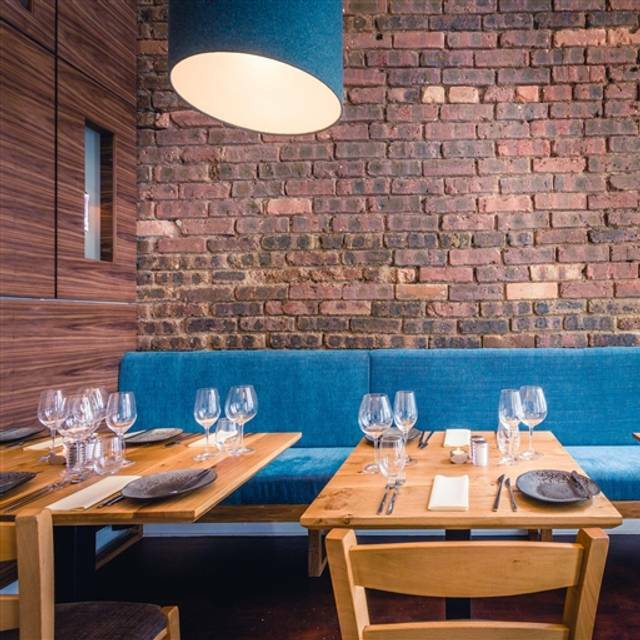 A really lovely simple restaurant serving beautifully presented and delicious food. A great find. This is a small but nice and warm restaurant with very tasty food. The smoked fish plate was above my expectations. Great seasonal food innovatively presented (but without too much fuss and still decent portions). The complementary bread and amuse bouche were a nice touch. Delightful restaurant in alovely part of Edinburgh. The sea bass was excellent. The Polish waiter was extremely professional. Great food and lovely evening . Staff were friendly. The food was excellent, but we were sitting next to the entrance and it was rather chilly... nevertheless service and food to recommend! Very much enjoyed our dinner for my birthday. Excellent tasty food, beautfully presented by cheerful friendly staff. A free glass of prosecco and a birthday card made for a lovely evening. Would return and recommend. Been on my list for some time and it didn't disappoint - lovely selection of tasty, interesting dishes. Definitely be back. Amazing food, great service, everything was cooked go perfection and the overall atmosphere was also great! Interesting, creative menu using seasonal produce and a decent wine list with a good selection available by the glass. Everything we ordered was tasty and the flavours matched well. Very reasonable prices for the for the food and location - we had 3 courses, 4 different glasses of wine and 2 aperitifs for around £100 (for 2). 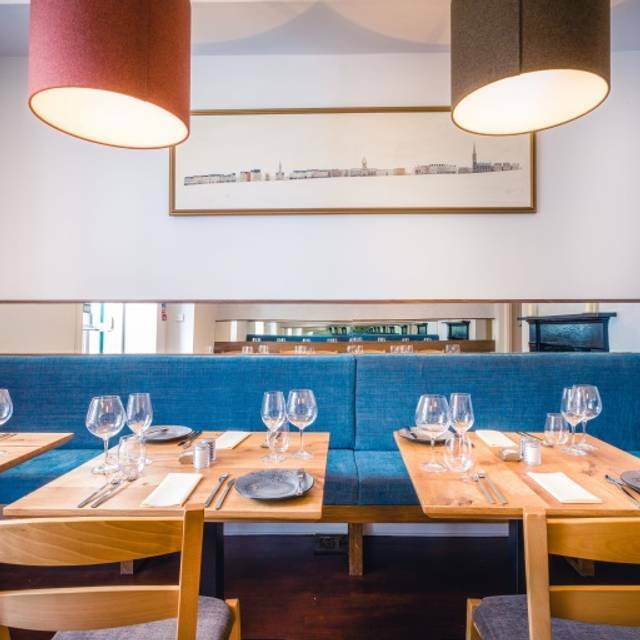 A Foodies delight in heart of The Old Town just off the Royal Mile. Excellent food flavours cooked to order. Portion size and taste perfection for me and look appetising. Good selection of wine served by glass, carafe or bottle so easy to match with food choices. All in all excellent value and attentive staff. Top quality fine dining at very reasonable prices. Unassuming spit you would never know was there but the interior is nice/minimal and the food is excellent. The hake was delicious. 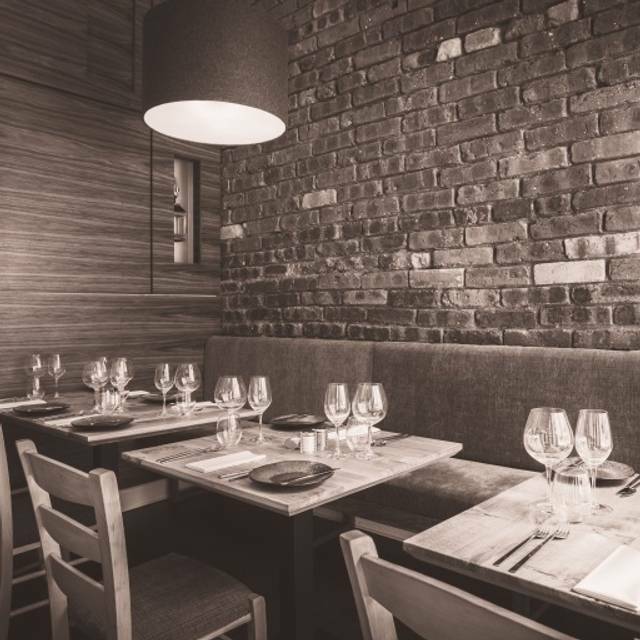 The service was a bit slow and our server seemed a bit aloof but overall it was a very nice evening and I would definitely go again. Small but great place. Food was excellent. Servers were nice and overall OK. Would visit again as the food was amazing.